Typically made from cotton, silk, wool or rayon, chenille consists of small fibers wrapped around the main threads to create a textured surface that is soft and fluffy. Improper washing of chenille throws and blankets wears these fibers away, causing chenille to lose its signature feel. While you can toss some chenille throws in the washing machine on the gentle cycle, others must be dry cleaned or hand washed only. Read the care tag on your throw to determine which method you must use. When in doubt, or if the care tag is missing, opt for cold-water hand washing. Soft and comfortable, chenille fabrics offer a vintage look. Braid any fringe on your throw to prevent tangling; wash the throw in your washing machine using the delicate cycle and a mild laundry detergent. If you are washing other items with the throw, place it in a pillowcase before washing to prevent the chenille fibers from shedding and getting stuck on other items in the washer. Wash the throw in cold water. Put it in the dryer on the low-heat setting or hang it outside to air dry on a clothesline or over a deck railing. Fill your tub with cold water and a mild laundry detergent made for hand washing. Place the throw in the water and wash it by gently squeezing water and the laundry detergent through it. Avoid rubbing one part of the throw on another to minimize friction. 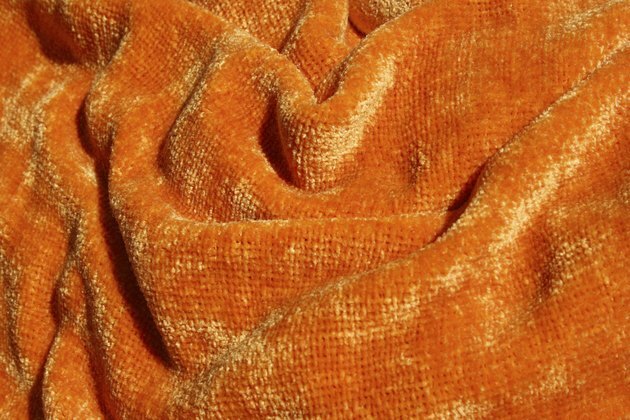 Rinse the chenille throw thoroughly and squeeze out as much water as you can with gentle wringing. Line dry the throw or dry it on the low heat setting in your clothes dryer.